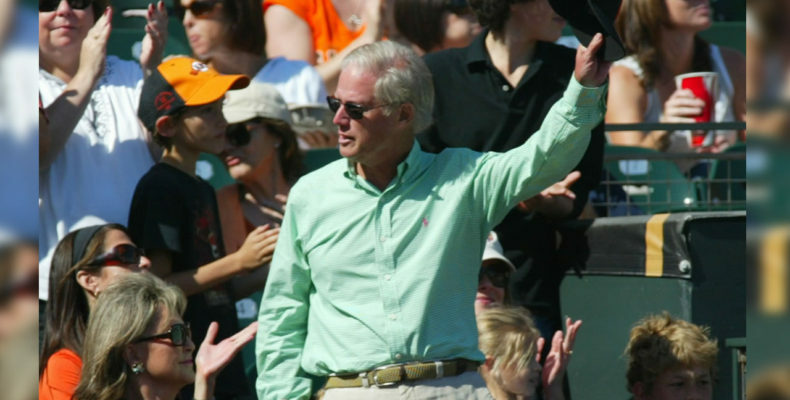 Here is what I remember most about Peter Magowan (1942-2019), the former Giants owner who entered the world of eternal dreamland yesterday: his love of baseball. In a day when most owners of sports teams (MLB, NFL, NBA, NHL) see their franchises as little more than a tax write-off or rich man’s trinket, Peter Magowan loved baseball, loved San Francisco and loved the Giants. Born in New York City Mr. Magowan grew up a Giants fan from their days at the Polo Grounds. His fandom was lifelong and legitimate. Magown saved the team from a horrific move to St. Petersburg and built Willie Mays Field after signing Barry Bonds even before his purchase of the Giants was official, three accomplishments that should guarantee his entry into the Hall of Fame. When I see the East Coast New York-centric media clamor for George Steinbrenner’s enshrinement into Cooperstown I cringe at the injustice and brazen amnesia at such a thought. That a snake, confessed mobster, and overall terrible steward of a storied baseball franchise should be deemed worthy of baseball’s Pantheon tells you much about the state of moral consciousness in the United States today. Did you know Peter Magowan also started the Giants Wall of Fame and created The Giants Community Fund? Magowan hired Brian Sabean, perhaps the single most important hire of the franchise’s history in San Francisco, one that added the architect of three World Series Championships. And Willie Mays Field… That magnificent temple to baseball in the middle of San Francisco built entirely with private funds… Do you, my beloved Giants fans, recall the decades of frustration and political acrimony surrounding previous efforts by Bob Lurie to build a Giants park in the city? Only Peter Magowan could accomplish the impossible and build the most gorgeous park in America. Giants fans everywhere can never repay the debt they owe to Mr. Magowan. His commitment to San Francisco and his excellence as a Giants owner should grant him a permanent place in Cooperstown and in our hearts.